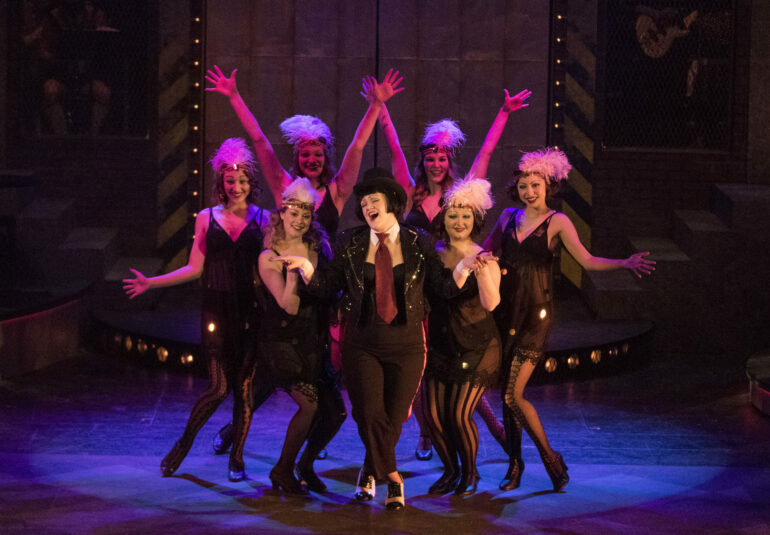 The USD Theater Department is putting its own twist on the well-known musical “Cabaret” thanks to help from Broadway choreographer Chet Walker April 12 through April 22. The play takes place in 1930s Berlin in between the two World Wars. Joe Stollenwerk, “Cabaret” director and assistant professor of directing, said this production covers an interesting part of history. The play follows an American writer, Clifford Bradshaw, who arrives in Berlin and gets involved with the glamorous lifestyle filled with new music, new art and new expressions of sexuality. Stollenwerk said it’s an “interesting mix” because this is the time when the Nazi party started gaining power in Europe. Brett Ries, a sophomore political science and criminal justice major, plays Bradshaw in the show. It’s his first production since the fall of 2016 and he said he was excited to get back on the stage. Stollenwerk said this production offers an interesting perspective on political history. Stollenwerk said he hopes audience members leave the show not only feeling entertained, but also inspired to think about the deeper meaning of the play. Patricia Downey, associate professor of theater, worked as assistant to the choreographer under Walker, renowned Broadway choreographer. Walker has choreographed many different productions. Some of his most famous works are the 1999 Tony-Award- winning musical “Fosse” and his rendition of “Pippin” which was nominated for 10 Tony Awards. Downey said in 2013, Walker’s agent sent the department a random email, which led to Walker’s first visit to USD when he gave a three-day master’s workshop for the department. Walker reached out to Downey last spring to see if the department would be willing to host another set of workshops. For Stollenwerk, he said the best part of having Walker work on the production was seeing his students grow as dancers and expand their confidence.